A working art studio and gallery by the sea in Langley, WA on Whidbey Island, featuring oils, watercolors and ink sketches by Liesel Lund, Ginny o’Neal and Judi Nygeres. We also offer fun and creative workshops for all levels. 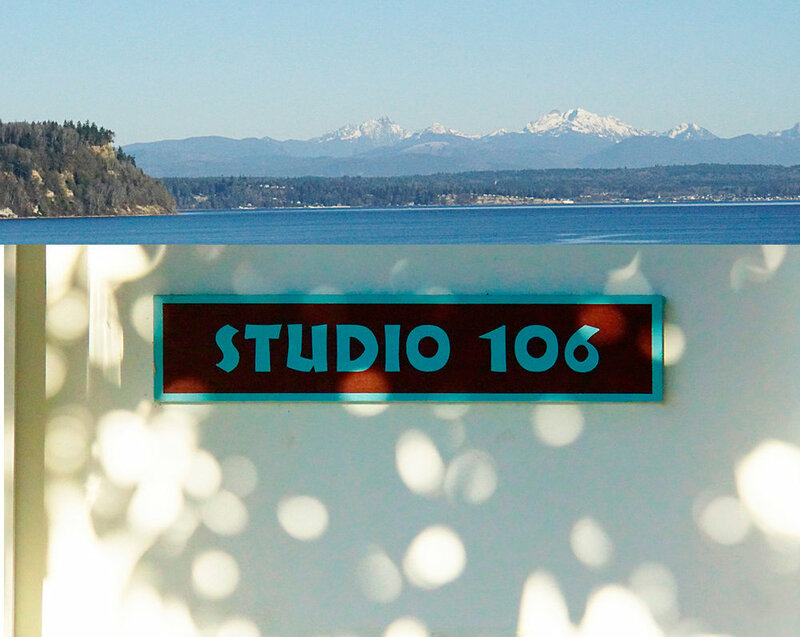 A working art studio & gallery by the sea, in Langley, WA on Whidbey Island, featuring oils, watercolors and ink sketches by local artists, Liesel Lund, Ginny O’Neill, and Judi Nyerges. We also offer fun and creative workshops for all levels. Ginny O’Neill will be showing her latest watercolors. Judi Nyerges has returned from Hawaii with some wonderful new sketches. Liesel Lund is doing new work which celebrate landscapes from her U.S. road trip. Please come by and say hello! We offer a variety of creative workshops including watercolor, art journaling and oil painting. Many are designed for absolute beginners or rusty painters. Join us for a fun time and discover wonderful ways to express your creativity. We are open for 1st Saturday Artwalk, 5-7pm, whenever one of us is working in the studio and by appointment. Sign up to receive our monthly newsletter with upcoming workshops, art shows and other news. Unsubscribe at anytime. "I can't tell you how much I enjoyed the class yesterday and how much I got out of it. I learned SO MUCH, and came home with my brain excited and full of ideas, and even a more "painterly" way of looking at the world (I have always disliked that word, but now really get it, thanks you). It was truly a pleasure, from beginning (nervous sweaty first day of school palms and all) to the end, which came way too quickly. "